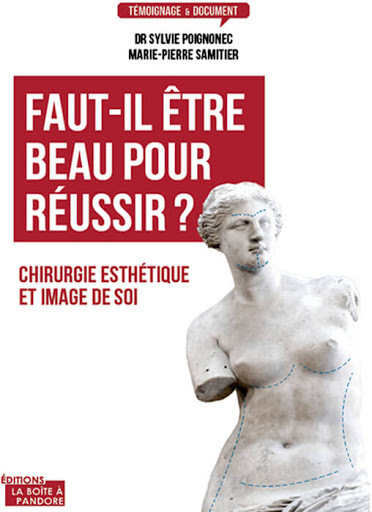 Qualified in aesthetic surgery, attached to the Pitié-Salpêtrière Hospital – Social and professional aesthetic specialist in Paris. Dr. Sylvie POIGNONEC plastic surgeon in Paris certified by the High Authority of Health, recognized and qualified by the French Order of Physicians specialized in plastic surgery and anti-aging medicine procedures. — I am fully dedicated to cosmetic surgery and strive for perfection for each patient. — Author and co-author of several books on cosmetic surgery and anti-aging medicine. You are considering or have decided to have a cosmetic surgery or cosmetic medicine operation. We are here to accompany you throughout your project. Each person has a personal motivation because they have a personal history. For some it is a small physical disgrace become a complex that hinders the relationship to others. For others, it is the effects of time that have caused a gap between body age and perceived age. These people feel young while the mirror reflects the image of a tired or aging person. A recent study shows that indeed the majority of us feel 20% younger than the real age. It is therefore important to restore this balance between reality and feeling. Whatever your motivation, I am here to listen to you, to understand you. Do not hesitate to tell me about yourself, your family or professional circle in order to understand the context that brings you to this process. We will then develop together an adapted care program that will allow you to rediscover seduction and well-being. To understand the context well, certainly, but also your personality, because often this one is limited by a bad image of oneself. For example, if you don’t dare go to others, if you are erased when you liked to be noticed, if you feel you have a critical look in front of you, if you no longer dare to speak in public, if you hide behind your clothes or make-up, or even in your intimate relationships, if you are no longer at ease. These treatments or this operation which I will carry out will make it possible to put in light your personality, to feel you again yourself, at ease, free from any artifice. But before taking action, I have a duty of advice and especially a duty of good measure towards you. Because our current techniques, very effective, often lead to an important infatuation and sometimes we see drifts and especially excesses around us. Any aesthetic gesture must reveal your personality and your seduction and not serve them. We must know how to use and not abuse, because the border between the natural and the artificial is fragile. My role is therefore to advise you, sometimes to restrain you, to explain to you what it is possible to do according to what you wish, with tact and measure. – My operating assistant, Agnès REMOND, an instrument assistant in cosmetic surgery for over 30 years, qualified by the Ministry of Health. She is always present at my side, in the office and during your intervention in the operating room. She will be your privileged contact, will be able to answer all your questions and will accompany you before, during and after your intervention. – My secretaries Sandra and Virginie, who are present at the firm, organize my consultation schedule and take care of all administrative matters. They will do their best to find you an appointment as soon as possible. I am constantly in contact with them to answer any messages you may have left me. – Our beauty therapist specializing in body care, Odile, whom you will often see in our office, and from whom you can benefit from all of her draining, relaxing or energizing massages to bring you maximum relaxation and repair. Our beautician, eye specialist, Jen, who will come at your request to perform all your facial beauty treatments, make-up, eyelashes and eyebrows. My team and I pool all our skills so that you find a natural beauty in the best conditions. What are the trends in plastic surgery? This is the case for liposuction, breast augmentation, surgery of the upper eyelids and bags under the eyes, and nose surgery. Even if patients still hope for the least invasive procedures possible, in certain cases, cosmetic surgery remains irreplaceable as blepharoplasty, abdominoplasty, the installation of breast prostheses, etc. Potential risks, side effects and possible complications should be explained at length for a better understanding. consult us. The needle is increasingly replacing the scalpel, it is this recent trend that explains the current success of aesthetic medicine worldwide. What are the advantages of aesthetic anti-aging medicine to rejuvenate or slim without surgery? Aesthetic medicine is a growing discipline without surgical procedure that aim to improve physical appearance, rejuvenate or slim without surgery is possible, using minimally invasive or non-invasive cosmetic procedures. Patients not only want to be healthy, they also want to enjoy life to the fullest, be fit and minimize the effects of aging. Patients often demand that these procedures require low downtime and minimal health risks.